Asheville is a cultural melting pot. Now famous for its collection of micro breweries, its become known as beer town USA. On the south side of the city is America's largest home, the Biltmore Estate and Winery with daily tours and concerts throughout the year. To the west is the Cherokee Indian Reservation. The town is home to numerous gift shops and tourist attractions including Santa's Land, Onconoluftee Indian Village, Unto These Hill Theater and Harrah's Cherokee Casino. 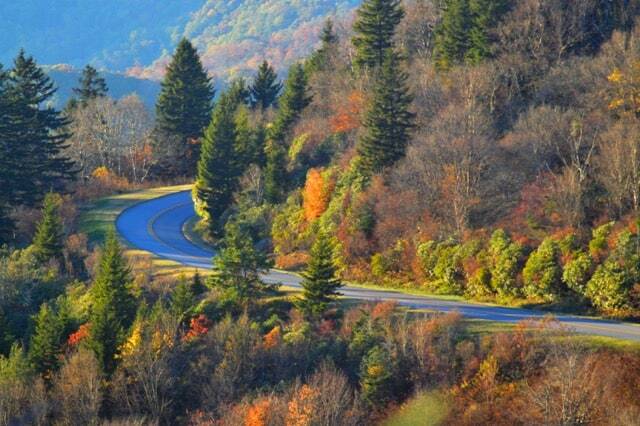 Gatlinburg is a little more of a drive, but if you follow the Blue Ridge parkway to its end and take a right on Why. 441, the drive through the park is well worth it. ratlin burg is the more glitzy side of the mountains and home to numerous gift shops, restaurants and attractions including Ripley's Smokies Aquarium and a little further out, Dollywood.